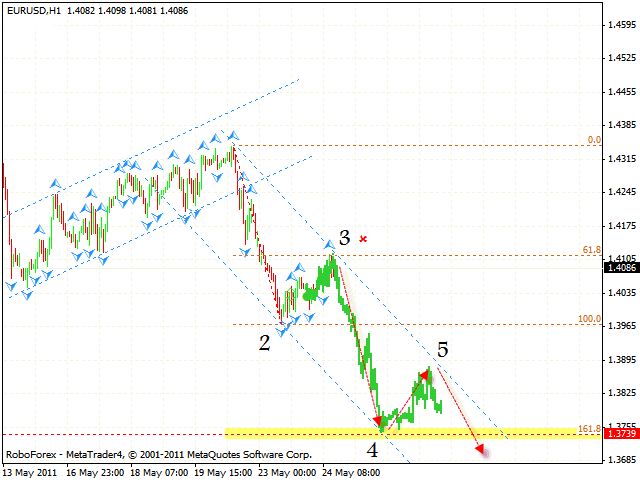 The EUR/USD currency pair is moving inside the descending channel. The closest target of the fall is the area of 1.3740, which may be a starting point of the correction to the channel’s upper border. The long term target is in the area of 1.32, and when the price reaches this are, the pattern will be completed. Currently one can try to sell the pair with the tight stop. If the price leaves the channel, this case scenario will be cancelled. Here we have “head & shoulders” reversal pattern forming with the target in the area of 0.9018. 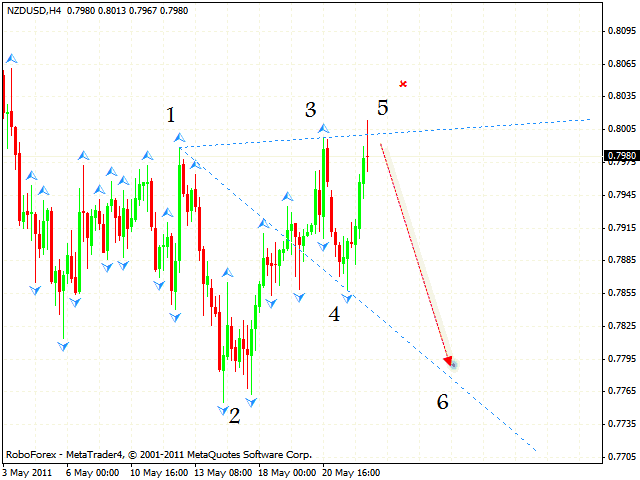 The USD/CHF currency may start growing from the current levels. One can try to buy the pair with the stop below 0.8755 and consider increasing the amount of long position after the price breaks the level of 0.8890. 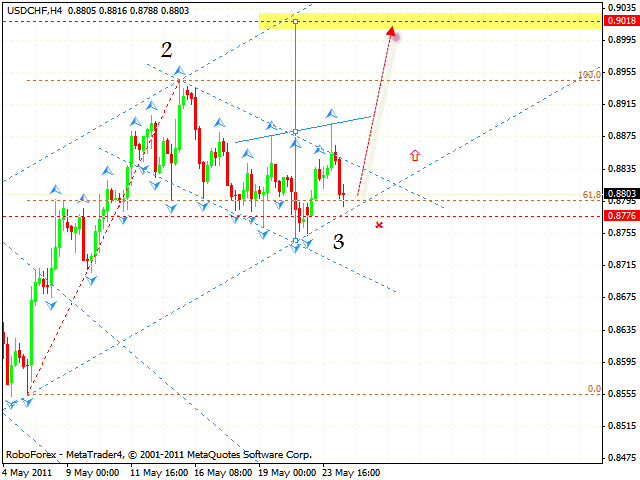 New Zealand Dollar is moving inside the Wolfe Wave which is being formed with the target in the area of 0.7795. At the moment the price is testing the area for sales, one can consider opening short positions with the tight stop above 0.8015. Don’t forget to move stop into the black as soon as possible. 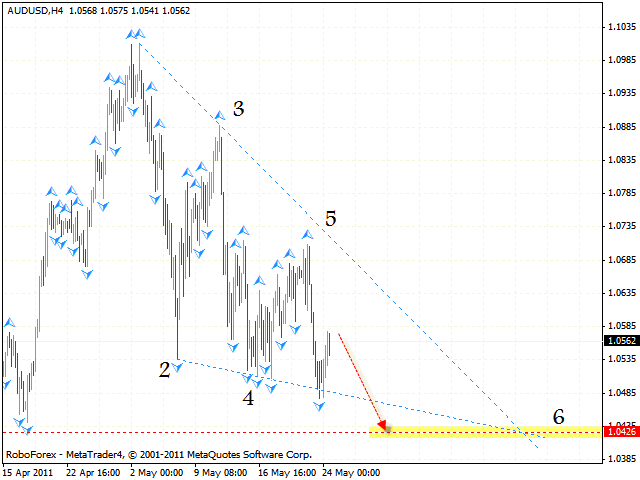 In case of Australian Dollar we can see the formation of the descending pattern with the target in the area of 1.0426. One can consider selling the pair with the tight stop above 1.0600. If the price breaks the level of 1.0710, this case scenario will be cancelled.